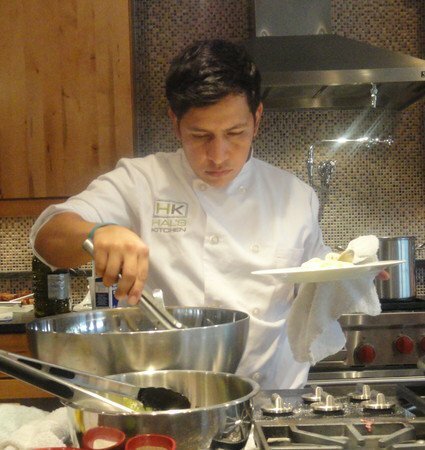 Top Israeli Chef to Give Cooking Classes in Brookhaven Top Israeli Chef to Give Cooking Classes in Brookhaven - Yes, Chef! Culinary Events - Atlanta Cooking Classes, Team Building and Culinary Private Events: Inspiring people and imaginations through the kitchen. Renowned Israeli chef Avi Bitton is in Atlanta this week, leading cooking classes in advance of the Atlanta Jewish Film Festival. Chef, restaurateur and author Avi Bitton is visiting from Tel Aviv, Israel, where he started four top-rated restaurants, including Adora, named one of the top ten restaurants in Israel. 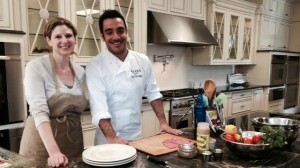 Bitton hosts two shows on Israel’s main TV networks called, A Maximum of 24 and Global Kitchen. He is also a frequent host on various programs on Israel’s Food Channel. Bitton is author of two books. The cooking class is scheduled for Tuesday, Jan. 28 from 6-9 p.m. at Yes, Chef! Culinary Events, located at SR Appliance; 2710 Apple Valley Rd., Brookhaven, GA, 30319. The menu for the cooking class includes red tuna salad, veal fillet stuffed with nuts and rose mousse. The cost is $50 per person.